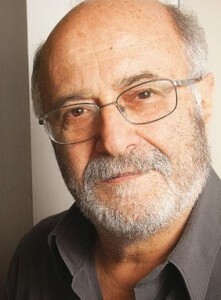 Massimo Scalia is a well known exponent of the Italian “Scientific Environmentalism” and a leader of the antinuclear movement. As member of the Chamber of deputies for the Greens (1987 – 2001) he has promoted the definitive closure of nuclear plants and the laws for saving energy and renewables. In addition to his scientific papers on Stability and Dynamical Systems he has a vast number of publications about the themes of the link energy/climate change and of the ecological reconversion of economy and society. Massimo Scalia, Aurelio Angelini et al. (2016), The chariots of Pharaoh at the Red Sea. The crises of capitalism and of environment. A modest proposal towards sustainability, Culture della Sostenibilità, numero speciale, pp. 1-66.